Coming from O’Rourke, who is running to unseat Sen. Ted Cruz, R-Texas, this fall, the implication was clear: If Jones could win in such a deep-red state, maybe Democrats had a fighting chance across the country. Energized by last year’s high-profile senate and gubernatorial Democratic victories in Alabama and Virginia, along with wins in state and local races, liberal activists and candidates are taking on Republicans in places where the GOP has gone virtually unchallenged for years. Perhaps nowhere is that more apparent than in Texas, a state with changing demographics that Democrats have long sought to flip blue. Both of Texas’ senators are Republicans. And the GOP controls 25 of the state’s 36 House seats. The state’s 11 Democratic House members are largely clustered in or around big cities like Houston and San Antonio, which means huge swaths of the state are represented entirely by Republicans. Republicans have rebuffed recent efforts by Wendy Davis and other Democrats to make inroads in Texas at the state and congressional level. But 2018 could be different. According to documents filed with the Texas Secretary of State’s office, a Democratic candidate is registered to run in all of Texas’ 36 congressional races for the first time in 25 years. A Democratic candidate is registered to run in all of Texas’ 36 congressional races for the first time in 25 years. “We’re still a long way off from Election Day, but running authentic, grassroots campaigns in every single district in Texas is how we finally give all Texans a real choice next November,” said Cole Leiter, a press secretary for the Democratic Congressional Campaign Committee who is focused on Texas and races across the South this cycle. The sheer number of Democratic candidates points to the level of enthusiasm on the left. As of early January, 111 Democratic candidates had registered to run for Congress in the midterm elections this fall. In contrast, when Democrats regained control of the House in 2006, the party fielded just 39 candidates in Texas, though it competed in 31 congressional districts, nearly as many as this year. Since 1992, Democrats have run candidates in an average of 28 House races, according to an analysis of election results. Lisa Goodgame, the political director of the liberal group Indivisible Austin, said the 2016 election and disapproval of President Donald Trump’s performance in office were the main factors driving Democrats in Texas to run for Congress. Texans “woke up and said, ‘Well if I don’t do something, then who will?’” Goodgame said. Apart from anger with Trump, the surge in Democrats running for office has also been driven by a desire to change the makeup of Congress, Goodgame said. Goodgame argued that the political map doesn’t reflect a state with a growing population of Latinos, who trend Democratic, and a voter base that is shifting left on issues like immigration. For example, 59 percent of Texans support continuing the Deferred Action for Childhood Arrivals program, known as DACA, which protects young people brought here illegally as children from deportation, according to a recent poll from the University of Texas/Texas Tribune. Goodgame’s organization is a good case in point. Indivisible Austin is one of the 5,800 grassroots groups that sprang up across the country after Trump’s victory in the 2016 election. The Austin chapter boasts close to 10,000 subscribers on its email listserv, and Goodgame said hundreds show up to the chapter’s meetings. State and local issues are also drawing more Democrats into politics. In the last state legislative session, the Republican-controlled state legislature passed a sanctuary city law requiring jails to comply with ICE detainers, and attempted to pass a “bathroom bill” law, which would force transgender individuals to use the gender they were assigned at birth — measures that were deeply unpopular on the left. Of course, the Democrats waging these battles in Austin and other liberal cities don’t reflect the state’s electorate overall. Republicans argued that flipping Texas blue remains a long shot. Republicans argue that flipping Texas blue remains a long shot. Evan Smith, the chief executive and co-founder of the Texas Tribune, noted that no Democrat has won a statewide office in Texas in more than two decades. At the congressional level, many GOP incumbents are protected by gerrymandered districts, which makes candidate recruitment on the left more challenging and discourages liberal donors from spending money on seemingly unwinnable races, Smith said. National Republicans also downplayed the surge of Democrats in Texas who are running for Congress. “Texas is a Republican state with a number of strong GOP candidates in the field. We’re confident the Texas delegation will be welcoming a big crop of talented new Republicans in 2019,” National Republican Congressional Committee spokesman Jack Pandol said. But while Republicans’ stranglehold on state politics looks solid on paper, Democrats argued the party has an unusually strong class of congressional candidates in 2018, including in purple districts that have a better chance of flipping this year. Take Texas’ 32nd congressional district, which covers the northeast suburbs of Dallas. 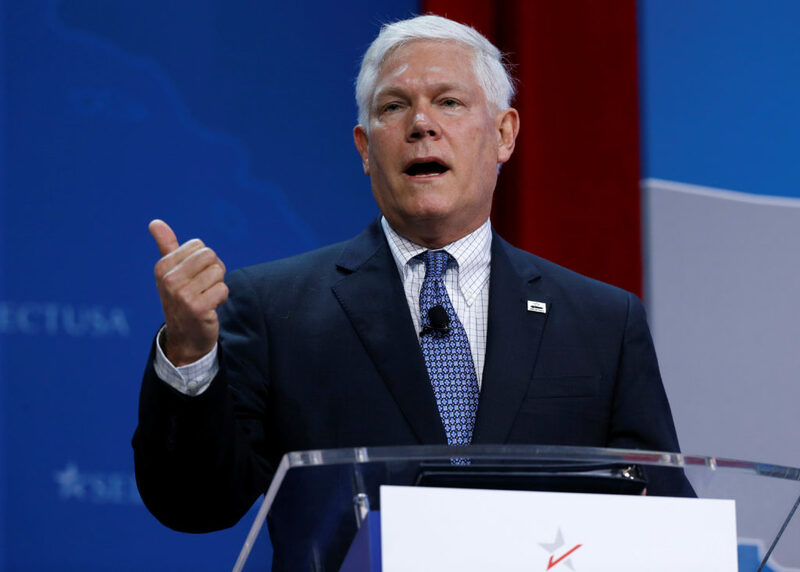 Eight-term GOP Rep. Pete Sessions ran unopposed there in 2016, when Hillary Clinton had a two-point victory over Trump in the district. In 2018, Sessions is facing 12 challengers from the left, as well as one Republican opponent. Similarly, eight-term GOP Rep. John Culberson is facing seven Democratic challengers — and one Republican opponent — in the race for his suburban Houston district. One of Culberson’s challengers, Alex Triantaphyllis, has out-raised him so far this cycle — albeit by only roughly $25,000 — according to OpenSecrets, a website that tracks federal campaign contributions. Recent surveys from Public Policy Polling suggest that a Democratic victory is well within reach in both districts. If Sessions were matched against a Democratic candidate, he would trail him or her 48-43 percent, a poll from late 2017 shows. The same poll found the theoretical Democrat leading Culberson by 10 points, 49-39 percent. In 2016, Culberson easily beat his Democratic challenger by nine points. 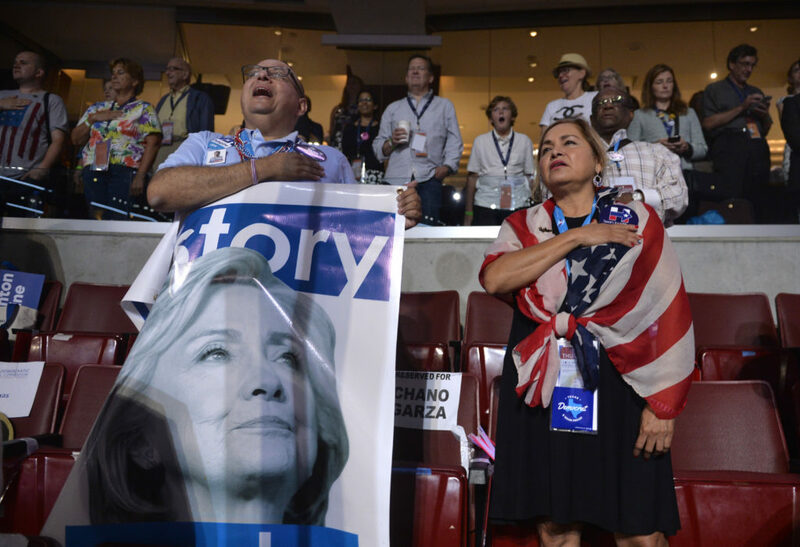 Texas is similar to the rest of the country in that “Democrats are uniform in their intense disapproval of Trump’s performance as president,” Henson said. The disapproval in Texas extends beyond Democrats. Trump’s overall approval rating among Texans is 45 percent, according to a poll done last year by the Texas Political Project, not that much higher than his national approval rating, which has hovered in the mid to high-30s since he took office. 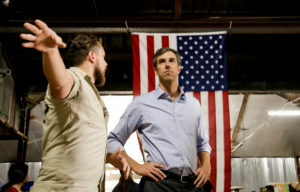 Add Trump’s low approval rating in Texas to the slew of Democrats challenging incumbent Republicans like Sessions and Culberson, and a blue wave in Texas starts looking more like possibility instead of a Democratic pipe dream. Democrats will likely also be aided by the traditional dynamics of midterm elections, when the party in power typically loses seats in Congress. In 2010, for example, Democrats suffered historic losses under former President Barack Obama, as Republicans gained 63 seats in the House and six in the Senate. Henson also noted the significant number of upcoming retirements in the Texas congressional delegation that will open seats in 2018. Six Republican members and one Democrat have announced their intent to retire after this term. (O’Rourke’s seat will also be open, as he is running for Senate).